Chef Ted graduated with a Cuisine Diploma in 1994. From Poland to Paris, via Chicago, chef Ted worked in Michelin-starred restaurants before returning to entrepreneurship. He has created a mobile app called “True Foodies only” which aims to create the largest culinary community (Chefs, sommeliers, restaurant owners…). Passion. A passion for food and cooking from the time I grew up, with my family, and through my whole life. The metro breaking down and having to run 7 blocks through Paris together with Chef Bing Liu to make it on time for the final exam. Chef Bing's legs are a lot longer than mine! I've always been an entrepreneur. In the '90s I started one of the first bistros in Poland after communism fell. Then I followed my passion and came to study at Le Cordon Bleu Paris as the very first student from Poland! After working in a few Michelin star restaurants in Paris, I opened my own catering business 5thfloorcuisine. Then 3 years ago I moved to Chicago and came up with the idea for the venture of a lifetime that went live 6 weeks ago. It's a kind of culinary Facebook called True Foodies that puts the culinary world in your pocket and creates a great trusted community of chefs, restaurants, sommeliers and foodies. You can download it here. Just to add that the idea for the app was inspired by my time at Le Cordon Bleu. My friends, colleagues and I were obsessed with the great Chefs, restaurants, culinary trends and new news in the culinary world - so that's what we provide in the True Foodies app and what we think Le Cordon Bleu students and alumni will love! We moved to Chicago 3 years ago. We started this great new company "For True Foodies Only Inc." and joined a fantastic tech incubator -one of the best in the world - called 1871. Then we started working like crazy to build one of the best culinary communities and bring it to life in the True Foodies app. Now it's just amazing to see how fast our company is growing and to see the thousands of people who have already signed up in the first weeks! The app is doing really well especially in France, Italy and Spain, so we are planning to move back to Paris this summer. After all, Paris is the center of the culinary world. 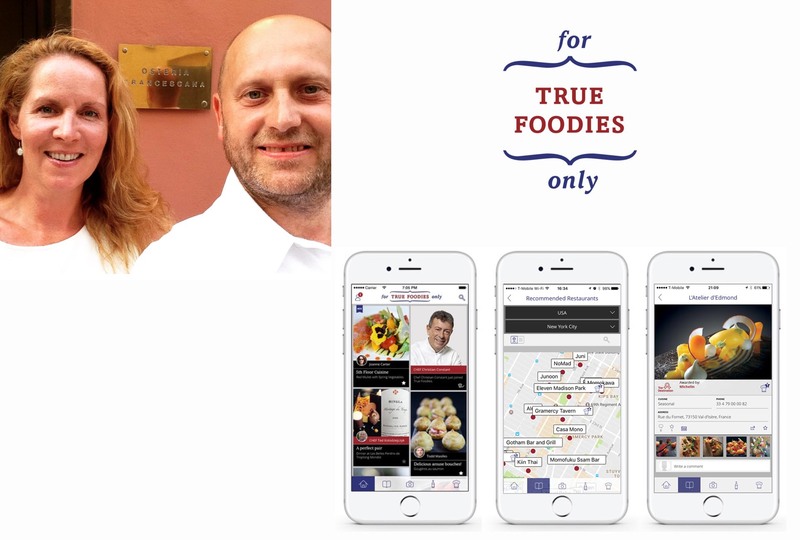 My plan is that all of the big fans of gastronomy and fine dining will find everything they need in the True Foodies app, and we will build a great community and connection between food lovers and big chefs, sommeliers and restaurants.